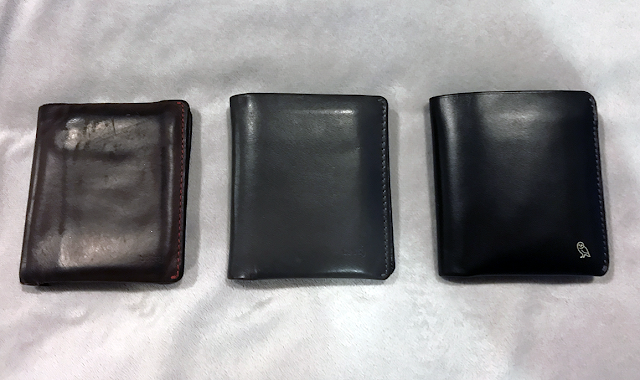 I've been a fan of Bellroy products since 2014 when I was looking for a decent slim wallet for an upgrade. Prior to using Bellroy wallets, I was using a knock-off 'branded' wallet given by a friend. Yes, not ashamed because I'm cheap like that. But with my knock-off wallet, what I mainly loved about it was how slim the wallet is. What made me decide to go on a hunt to look for a new wallet back then was because I wanted to treat myself to a decent wallet after working for about a year in New Zealand. So I was on a mission to look for the best slim wallet out there. After spending endless nights browsing the internet, I'm not sure how it came to be but - one of the Bellroy ads with their fancy-schmancy stop motion video really caught my attention. After contemplating for a few days, I decided to give Bellroy a try. And ever since getting my very first Note Sleeve wallet in 2014, I've never looked back and have been stuck with Bellroy wallets.